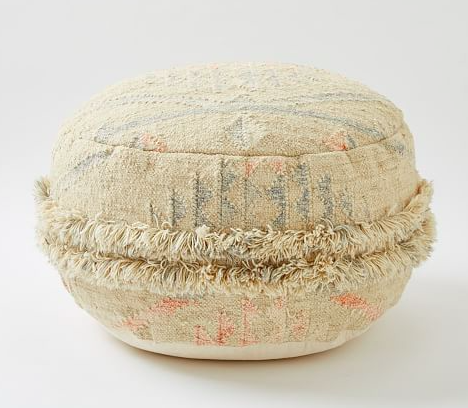 To give this Wool Pouf its beautifully muted look, wool strands are dyed, then washed and woven for a faded effect. Shag detailing gives it a fun feel. Shades of cream, blush, slate blue and gold. 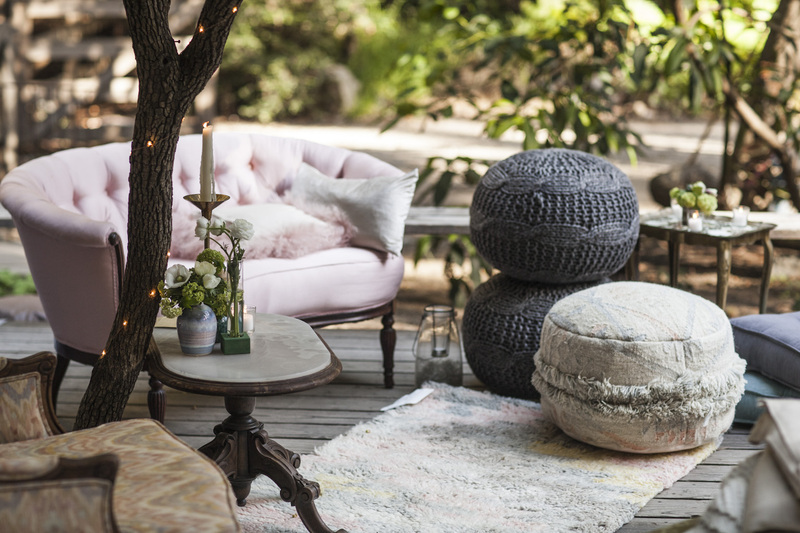 Pair this pouf with our Ashtik Wool rug, White marble coffeetable and Vintage swirl Chair. It's a perfect match! 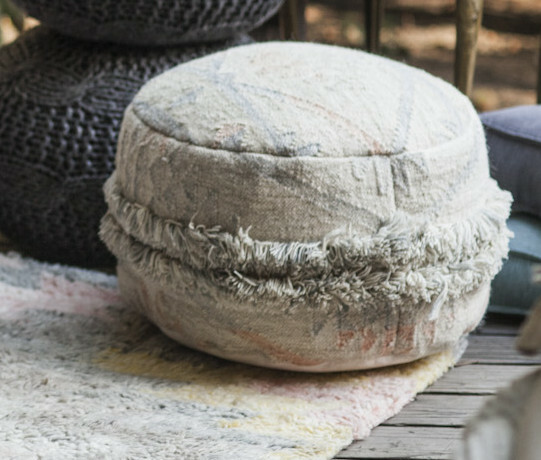 Handcrafted in a Fair Trade Certified™ facility, each pouf purchased directly improves the life of the artisan who makes it. 20"diam. x 11”h. 100% wool in Natural. 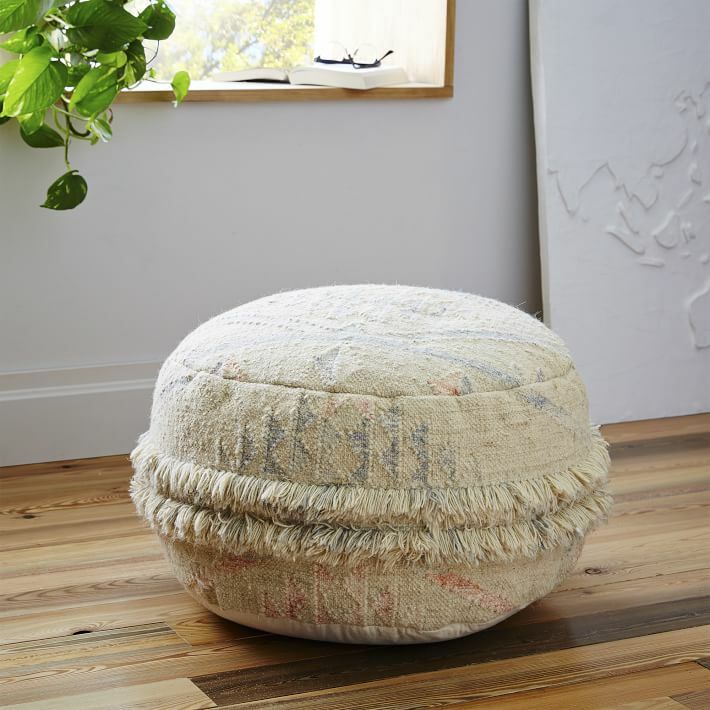 Handwoven by Craftmark-certified artisans. Made in a Fair Trade Certified™ facility.